Coconut oil is a product/ingredient that has taken the hair, beauty, and wellness industries by storm. Coconut oil has several benefits. 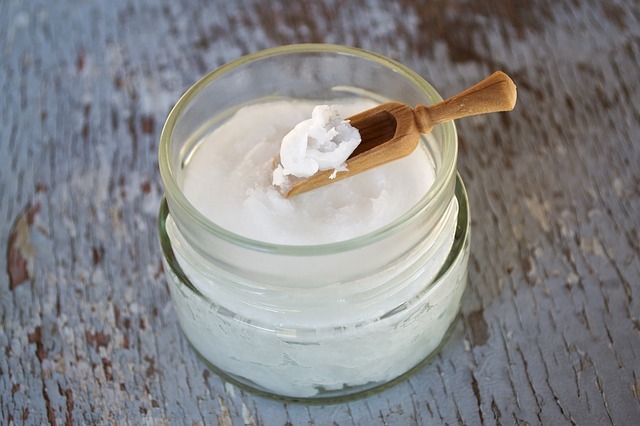 Coconut oil is being used on hair, skin, and even for cooking. Even though women have been using coconut oil for centuries, I want to focus on the top five benefits of using coconut oil on natural hair. Treasured Locks is a big advocate of natural oils for hair and skin. Argan oil, shea butter, jojoba oil, etc. are all great. Let's not overlook the humble coconut oil though. Black hair craves moisture. Oils that seal in moisture and humectants that attract moisture are always welcome for African American hair care. Coconut oil makes natural black hair soft. As we all know, natural hair can be prone to dryness. Applying coconut oil on a regular basis keeps it soft, smooth and shiny. Best of all, coconut oil is lightweight enough to be used on most African American hair types. (3A-4C). Coconut oil stimulates hair growth. It works to moisturize and seal the hair. It helps with hair retention because it binds to the natural protein structure of the hair and keeps it healthy! Coconut oil has even been shown to prevent hair loss. Coconut oil moisturizes the scalp. If you suffer from dandruff or a dry and flaky scalp, then applying coconut oil is a great way to deal with these issues. Coconut oil smooths, nourishes and moisturizes the scalp to keep it hydrated and to keep it flake-free! Coconut oil makes natural hair thick and sturdy. As coconut oil helps to stimulate hair growth and keep hair moisturized, it helps to strengthen the hair as well. Dull, limp and lifeless hair is something that most women want to avoid, so using coconut oil will help revitalize it and give it the toughness and tenacity it needs. Coconut oil works excellently as a pre-wash and post-wash treatment. While it’s important to wash your hair often, this can strip it of its natural oils. Applying coconut oil before and/or after you wash your hair will help to maintain its moisture. Plus, if you are prone to shedding hair when you wash it, or when you comb it afterward, then applying coconut oil can prevent that and help to retain the hair.